Do I Need to File Taxes If I Didn't Work? When Don't You Have to File Taxes? 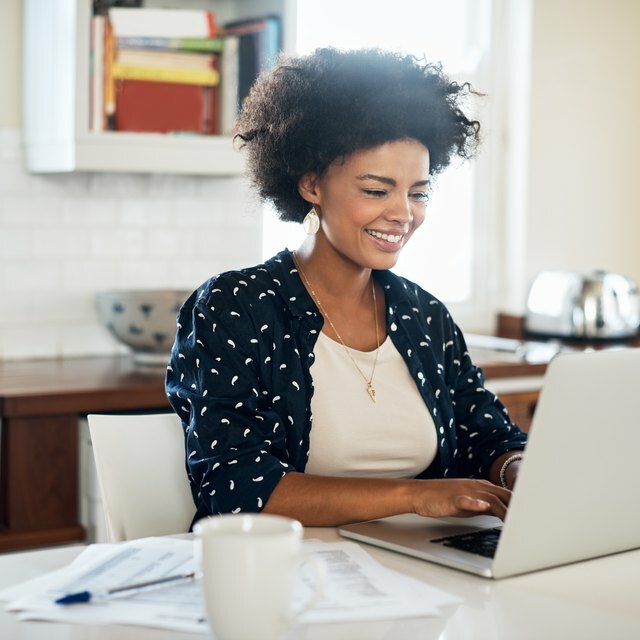 Often, if you’re asking the question “Do I have to file taxes if I didn't work?” the answer will be that you’re not required to file a return because you don’t have any taxable income. But, the answer isn’t always that simple because there are a plethora of other types of income that the tax code treats as taxable, and a number of other situations that could necessitate filing a tax return, even if you won’t owe any money. So, if there is another reason you’re required to file a tax return and you don’t, telling the IRS “I didn’t work” won’t get you off the hook. If I Don't Work, Do I Have To File Taxes? Just because you didn’t work doesn’t mean that you don’t have taxable income during the year. The IRS counts all types of income, not just wage income. For example, you might have income from investments, either interest income or capital gains from selling assets. You might also have income from renting property, though some of it may be offset by deductions or distributions from retirement accounts, either your own or a retirement account you inherited. The IRS even counts income you generate from bartering as taxable income. For example, if you do $100 worth of plumbing work for your neighbor in exchange for her doing $100 of yard work for you, each of you should be reporting $100 of taxable income. If you’re not working because you’re a student, make sure you determine if any of your scholarship income counts as taxable income. Scholarships and grants are tax-free as long as you are a degree-seeking student, the scholarship doesn’t exceed your qualified educational expenses, isn’t earmarked for nonqualified expenses, such as room and board, and isn’t a payment for services you perform, such as teaching. For example, if you receive a $20,000 scholarship that covers the $15,000 tuition and required fees and $5,000 room and board at your university, even if you’re a degree-seeking student, the $5,000 for room and board counts as taxable income. On the other hand, if you receive a $5,000 scholarship that is contingent on you serving as a teaching assistant during the year, that counts as taxable income because it is in exchange for services you’ve performed. Alternatively, while you might not think of benefits you receive while you don’t have a job as income, if you received certain unemployment benefits during the year, those also count as taxable income. Taxable unemployment benefits include state unemployment insurance payments, benefits from the Federal Unemployment Trust Fund and railroad unemployment compensation benefits. What Is the Minimum Amount of Earnings Before Paying Federal Taxes? Do Minor Children File Taxes for 1099-INT? Do I Have to File Taxes If I Owe Nothing or Get Nothing? Your gross income includes any income you earned during the year regardless of where you earned it. For example, if you spent the year in Japan, you might think that because you didn’t earn any income in the United States you don’t have to file a federal income tax return, but that’s not the case. American citizens are required to report all income earned during the year even if you didn’t spend any time in the country. While you might be able to offset some or all of your U.S. income tax with the taxes you pay to Japan, you still must file a U.S. tax return. In limited circumstances, if you have only interest and dividend payments, a parent can elect to include the income on their tax return instead of the child having to file a separate income tax return. To qualify for this option, the child must be under 19 at the end of the year, though the age is increased to 24 if the child is a full-time student. The child can’t have any income other than interest and dividends, and the total interest and dividend income for the year can’t exceed $10,500. In addition, the child can’t have made any estimated tax payments or had any income taxes withheld, and can’t be filing a joint tax return for the year. For example, say you are a 19 year old full-time student and are single. If you have $1,000 of interest and dividend income, and no other income, your parents could include your income on their tax return so you don’t have to file a separate income tax return. However, if you have any other taxable income, even if it’s just a taxable scholarship because your scholarship covers room and board, you’re required to file your own income tax return. Even if you have additional income, you might not have to file an income tax return if you didn’t have enough. Under the Tax Cuts and Jobs Act changes, the filing threshold for 2018 is based on your standard deduction, which is $12,000 for singles, $18,000 for heads of household and $24,000 for married couples who file a joint return. If you are 65 or older, blind or disabled, your standard deduction increases by $1,300 if you’re married or $1,600 if you’re single. For example, if you’re single and 67, your standard deduction is $13,600, instead of the typical $12,000 for single filers. If one spouse is over 65, the joint standard deduction increases to $25,300 and if both spouses are over 65, the standard deduction goes up another $1,300 to $26,600. However, the standard deductions work a little differently if someone else can claim you as a dependent. If someone else can claim you as a dependent, your standard deduction is limited to the larger of $1,050 or $350 plus your earned income – up to the regular standard deduction, of course. For example, if you can be claimed as someone else’s dependent and have $5,000 of investment income, which doesn’t count as earned income, your standard deduction is only $1,050. If you had $1,000 of investment income and $1,500 of self-employment income, your standard deduction would be $1,850 because your self-employment income, which is all the earned income you have for the year, plus $350, is greater than $1,050. If you didn’t work for someone else, but did have your own business, you need to be aware of the lower self-employment filing threshold. If you have $400 or more of self-employment income, you must file a federal income tax return. Self-employment income is treated differently because it is subject to both income taxes and self-employment taxes. When you are an employee for a company, the company is responsible for withholding the Social Security taxes and Medicare taxes – the taxes that make up the self-employment tax – from your paycheck. However, when you work for yourself, the responsibility for paying those taxes falls directly on you. Even if your income isn’t high enough to mandate filing a tax return and you didn’t work, you might still be required to file an income tax return in certain situations. First, if you owe any special taxes, you must file a tax return. Special taxes include the alternative minimum tax, household employment taxes and taxes on early distributions from retirement plans. For example, say that because you weren’t working, you took out $10,000 from your traditional IRA even though you’re not 59 1/2 years old yet. You must file a tax return to report the tax penalty on the early distribution or to specify the early withdrawal tax penalty exemption that applies. You must also file a tax return in the event of certain medical-related events. First, if you take a distribution from a medical savings account, including an Archer MSA, Medicare Advantages MSA or health savings account, you must file a tax return. In addition, if you received advances on the premium tax credit for yourself, your spouse or a dependent to purchase health insurance through the Health Insurance Marketplace, you must file a return. Finally, you must also file a return if you received advances of the health coverage tax credit for yourself, your spouse or a dependent. While you might not enjoy filing a tax return, you could benefit from filing one even if it isn’t legally required. First, if you have had income taxes withheld, or made estimated tax payments, during the year, you can only get them back by filing a tax return. For example, if you thought you were going to owe taxes on your unemployment benefits and made an estimated tax payment, but it turns out your total income isn’t high enough to owe anything, you must file a tax return to have that estimated payment refunded. Alternatively, even if you didn’t make any tax payments or have any taxes withheld, you might qualify for refundable income tax credits. For example, the American Opportunity Credit, which is available for students in their first four years of postsecondary education, can be up to $2,500 and up to 40 percent is refundable. That means that even if you don’t owe any taxes, you could receive a tax refund of up to $1,000 because of the credit. The tax code doesn’t set an age at which you must start filing income tax returns or an age that you can stop filing them. For example, if a 2-year-old gets paid $50,000 for appearing in advertisements, that 2-year-old is required to file and pay federal income taxes. However, if the child is too young to be able to file the tax return himself or herself, his or her parent or guardian is responsible for filing the income tax return. The earned income cannot be simply added to the parent or guardian’s tax return. The only time age affects whether or not you need to file is if you are over 65 so your standard deduction is slightly higher. If you’re required to file a tax return and you don’t file it in time, you could face two types of penalties: failure to file penalties and failure to pay penalties. The minimum late filing penalty is the smaller of $205 or 100 percent of the unpaid tax, but the longer you leave the return unfiled, the penalty will accrue at up to 5 percent per month, up to a 25 percent maximum penalty. The penalty for paying late is 0.5 percent per month, with the late payment penalty capped at an additional 25 percent of your unpaid taxes. In addition, the IRS will also charge you interest on the amount of taxes you owe until the amount is paid off. If you can’t get your return completed in time, you can request an extension of time to file your return that will push your filing deadline back six months. However, the extension is only for filing, not for paying. If you don’t pay what you owe by the regular filing deadline, interest and, potentially, penalties will start accruing until you pay it.